The START International TDLR025H handheld manual liner remover and dispenser applies and cuts double-sided tape as it peels and winds the liner. 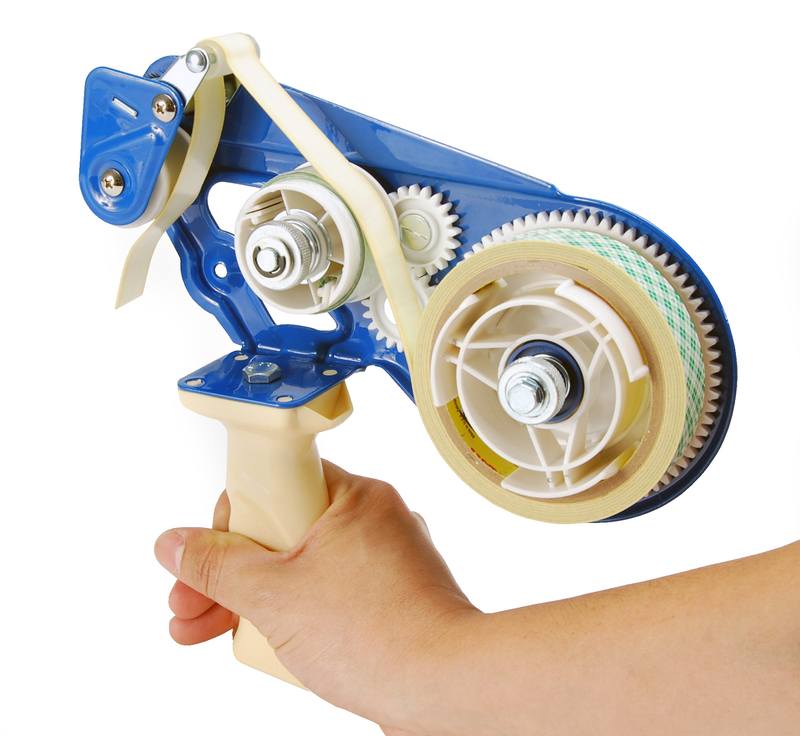 This tape dispenser accepts roll widths up to 1"/25 mm, with an outside roll diameter up to 6"/152 mm. It has a 3"/76 mm roll core holder. The TDLR025H is particularly suited for double-sided masking tape. .50" minimum length to Variable maximum length. Tape dispensers hold and cut tape. They are used in manufacturing, assembly, and packaging. 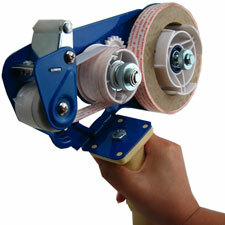 Tape guns are portable, handheld tape dispensers that are useful for small jobs. Table-top dispensers allow an operator to tear off the tape and then bring it to the point of application. Manual table-top dispensers allow an operator to pull and tear any amount of tape, or to dispense a fixed amount of tape by use of a hand lever. Electronic dispensers may be actuated by the push of a button or by a sensor that detects when the previously cut length of tape has been removed. Most tape dispensers work with pressure-sensitive tapes, such as transparent office tape, packing tape, or strapping tape. Gummed tape dispensers, also known as water-activated tape dispensers, work with water-activated adhesive tape. These dispensers moisten each piece of tape as it is dispensed.